It happens every autumn, the leaves change color and fall off the tree. I was on a walk this week as the leaves were rapidly falling from the trees in a serious windstorm! The Montana Big Sky was a gorgeous hue of blue, my thoughts were no where and then everywhere. 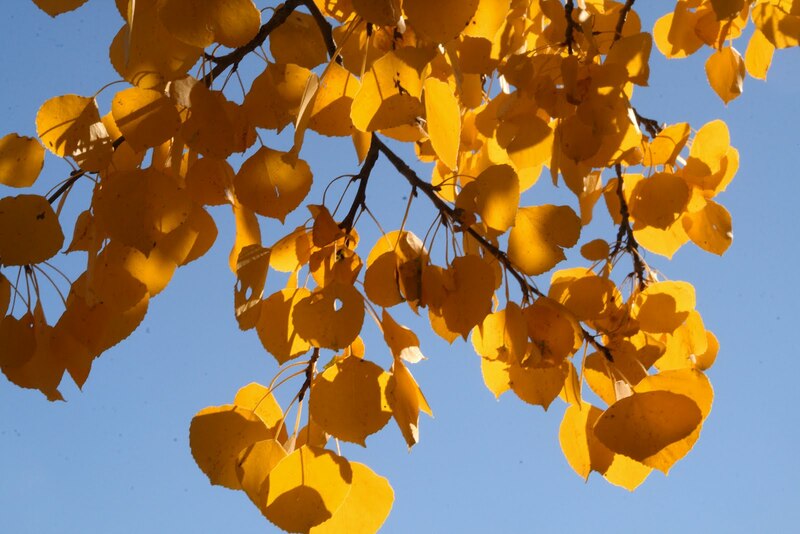 I looked up at an Aspen tree that was quaking and shaking and noticed a few of the leaves were hanging on even though the majority were swirling off the tree. I began to wonder about my life in comparison to the leaves that were hanging on. Why can she do so many things in her life and I can barely manage to get myself out the door to work? What gives him so much energy to accomplish goals and it seems like it’s so easy for him? My plate is full. And it’s my plate to fill. Think about the last time you compared yourself to someone else? Not that long ago? I know — it’s human nature to compare ourselves to others but people…. throw away the self doubt! Why do we feel inadequate when we see “Mr. Get ‘Er Done” or “Ms. Overachiever?” What is God’s intention for our lives?